The pilot reported that he departed from PFC and he followed the coast and Columbia river en route to VUO. About 800 ft above the Columbia river, he advanced the throttle to climb when the engine started to lose power. 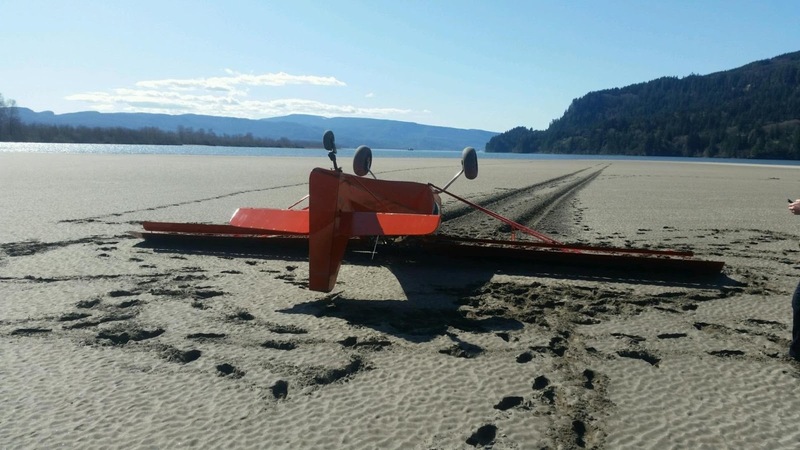 The pilot elected to land on a nearby treeless island in the river. 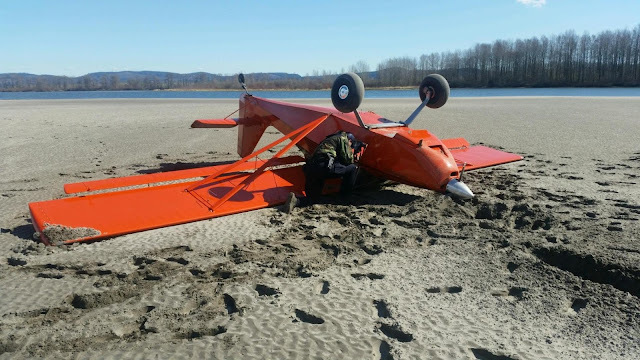 The airplane landed uneventfully, and during the landing roll, the main wheels sunk into the ground and the airplane nosed over and came to rest on its back. Postaccident examination of the airplane by a Federal Aviation Administration Inspector revealed that the throttle cable was loose at the throttle body attachment arm. When manipulated, the cable moved freely with no corresponding motion on the throttle body arm. The cable set screw on the aft side of the throttle body arm backed slightly out of its original position and was no longer securing the throttle cable. Review of the maintenance logbooks revealed the the throttle body arm was built by the owner and was installed on the airplane on July 30, 2017, at 1,092.5 hours, which is about 204 hours prior to the accident. In addition, a vernier style throttle cable was installed on August 30, 2017 at 1,137 hours, about 159 hours prior to the accident. I would have chose the same spot. Good job! Areas like these are hard for an atv to drive over, but not much other choice. Better than water or trees.